Smooth Brew is an a cappella quartet performing classic pop, vocal jazz, doo-wop, barbershop and vintage harmony styles of music. We are ready to entertain you with a full program of four part a cappella music at its finest with variety, patriotic, Christmas, sacred/inspirational and classic barbershop songs. Consider us for entertainment at your wedding reception, birthday parties, private parties, corporate events, cocktail receptions, Christmas party events, gala dinners, after dinner entertainment, community gatherings, anniversary parties, church events, and house concerts. Smooth Brew promises a performance that will bring a smile to your face and heart! Notable venues and events for our performances include the City of Heath Fourth of July Celebration, Choctaw Casino, SouthFork Ranch, Lake Cliff Park Centennial Celebration, Amon Carter Museum Art in the Dark, Farmers Branch Veteran’s Day Celebration, the Frisco Convention Center, the Men of Note Holiday and Spring shows, Frisco Discovery Center, McKinney Home for the Holidays and corporate events at Southwest Airlines, BNSF, KERA and Tenet Health. And recording a jingle for a radio commercial. Our full repertoire is listed on this site as well as a booking information request. Listen to samples of our smooth sound, view our photos and videos, read our endorsements, and then contact us. We hope to be entertaining you soon. Smooth Brew received a 2014 GigMasters Rising Star Award in the Barbershop quartet category. 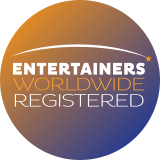 The 150 winners represent the top-booked entertainers out of the 43,000 members registered with GigMasters in the U.S. and Canada. Smooth Brew was also awarded a Best of 2014 badge and again in 2016, 2017 and 2018 for members who earn four or more reviews, each with a rating of four or more stars, from confirmed GigMasters bookings.